The Trail Menorca Camí de Cavalls is organised by the Menorca Atletisme Intersport club and produced by Elitechip SL., with the consent of the Balearic Island Mountain Federation, Consell Insular de Menorca and the 8 town halls of the island of Menorca. The Trail Menorca Camí de Cavalls is an event that combines both a tourist and a sporting aspect. On the one hand, it is a non-stop sporting competition, and on the other, it is a recreational event; it is also a personal challenge open to any person with the sole aim of taking part and finishing the race either by running or walking. This event contains a total of six self-supported distances that take place along the GR-223 trail. They will be staged on 17, 18 and 19 May 2019. The six races are the 185-kilometre Trail Menorca Camí de Cavalls CdC, the 100-kilometre Trail Menorca Costa Nord TMCN, the 85-kilometre Trail Menorca Costa Sud TMCS, the 58-kilometre Trekking Costa Nord TCN, the 44-kilometre Trekking Costa Sud TCN and, last but not least, a 27-kilometre Mini Trekking or Short STCN race. · TMCdC - Trail Menorca Camí de Cavalls CdC - 185KM and D+ 3500 metres: This is the most important and the longest race. It is the primary programme of the whole event. Its route covers the whole island, with the 186 km of the GR-223 trail. The TMCdC will begin in Plaça dels Pins, in Ciutadella on Friday 17 May 2019.
o IMPORTANT: The race will have two different start times. The first will be at 8:30 a.m. for beginners with less experience and a slower pace. They will have 40 hours to complete the course. The second will be at 2:30 p.m. and will have a total time of 34 hours. The departure time will determine which cut-off point each runner must follow. Cut-off points may not be changed during the race. Not meeting these times will lead to disqualification. · TMCN Trail Menorca Costa Nord - 100KM and D+ 2300 metres: This race covers the entire North stretch of the GR-223, starting in the municipality of Mahon and ending in plaza del borne in Ciutadella. It will start in the early hours of the morning between Friday 17 and Saturday 18 May 2019 at 00:30 a.m. from park Rochina of the Port of Mahon. Click here for the location. · TMCS Trail Menorca Costa Sud - 85KM and D+ 1200 metres: This race covers the entire South stretch of the GR-223 trail, starting in the municipality of Es Castell and ending in plaza del borne in Ciutadella. It will start on Saturday 18 May 2019 at 6:30 a.m. from the Es Castell local football ground. · TCN Trekking Costa Nord - 58KM : This race covers approximately 1/4 of the northern section of the GR-223 trail. It will start in the coastal municipality of Fornells and end in plaza del Borne in Ciutadella. It will start on Saturday 18 May 2019 at 09:00 a.m. in Calle Cami de Tramuntana in Fornells. · TCS Trekking Costa Sud - 45KM: This race covers approximately 1/4 of the southern section of the GR-223 trail. It will start in the municipality of Es Migjorn Gran and end in plaza del Borne in Ciutadella. It will start on Saturday 18 May 2019 at 8:00 a.m. at Camino de Binigaus Vell in Es Migjorn Gran. · STCN Short Trekking Costa Nord- 27KM: This race covers a reduced distance of the northern section which is ideal for beginners or runners who feel more comfortable with short distances. It has a very low level of difficulty and includes a stretch of several kilometres in an area of outstanding beauty. It will start in the car park of Playa de Algaierens (La Vall) and end in plaza del Borne in Ciutadella. Departure will be on Saturday 18 May 2019 at 08:00 a.m. from the car park of Playa de Algaierens. · TMCN Trail Menorca Costa Nord - 100KM: The bus will leave from this point heading for the starting line at 10:30 p.m. on Friday 17 May 2019. · TMCS Trail Menorca Costa Sud - 85KM: The bus will leave from this point heading for the starting line, at the Es Castell local football ground, at 5:00 a.m. on Saturday 18 May 2019. · TCN Trekking Costa Nord - 56KM: The bus will leave from this point heading for the starting line in Fornells at 7:30 a.m. on Saturday 18 May 2019. · TCS Trekking Costa Sud TCS - 45KM: The bus will leave from this point heading for the starting line in the municipality of es Migjorn Gran at 6:30 a.m. on Saturday 18 May 2019. · STCN Trekking Costa Nord - 27KM: The bus will leave from this point heading for the starting line at the Playa de Algaiarens car park (La Vall) at 6:30 a.m. on Saturday 18 May 2019. · 16 May 2019: From 4:00 PM to 8:00 PM. · 17 May 2019: From 4:00 PM to 8:00 PM. o A photocopy or photograph of the original Identification Document of the runner who the race number belongs to. o Special document required when a third party is going to collect the race number. This document will be available on the website one month before the race. o In the event of collecting race numbers for runners, who are members of a federation, they must also present a photocopy or photo of the corresponding membership licence. In the event of not presenting the corresponding membership licence accreditation, the competition insurance must be paid (€10 for 185 km, 100 km or 85 km and €5 for the trekking). · You can send an email giving any reasons to coordination@trailmenorca.com. If the reasons are deemed valid, the race number can be picked up on the day of the race before departure. Registration implies complete acceptance of the content of these regulations. These regulations must be strictly adhered to by all those participating in any of the six races of the Trail Menorca Camí de Cavalls. The organisers reserve the right to modify, interpret and change these regulations to aid the successful running of the event. The race manager, general coordinator and event judges are authorised to definitively rule on any disagreement or dispute relating to the regulations. To check that you have the latest version, you should consult the review section of these regulations which indicates the date of the latest version. Article 4. The race and the trail. 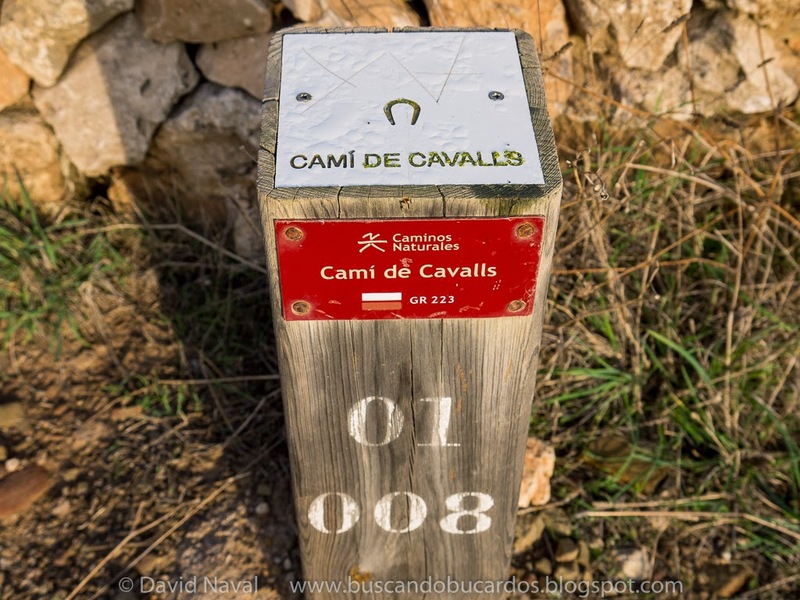 The Trail Menorca Camí de Cavalls is run almost entirely on the trail of the Great Route, the GR-223, a route which has more than 2,200 wooden milestones that mark the trail. The organisers will add to the signage at the points where they consider it necessary with barrier tapes and signage specifically designed for the race. Runners will be predominantly directed by the wooden milestones, while the presence of onlookers will be merely circumstantial. Orienteering also plays an important role within the competition. - The route planner for any of the six races can be found on the official race website (www.trailmenorca.com). Any changes or modifications to the route will be published on the website, as well as on the social media profiles of the Trail Menorca Camí de Cavalls on Facebook and on Twitter. The route may be changed due to issues with administrative permits. - The route will not be closed to the traffic so runners must take extreme precautions and respect other road users in the areas where they may meet. - During the course of any of the six races of the Trail Menorca Camí de Cavalls the runners must follow the instructions of the organisers at all times. Failure to do so will result in immediate disqualification. - The race will be controlled electronically through the MyLaps timing chip. The runners must carry the chip throughout the race, placing it on their shoe next to the ankle. Placing it elsewhere may lead to incorrect readings. - The organisers will place control points along the route to ensure that the runners complete the route, as well as recording the times of each runner. - The organisers will place two/three undisclosed checkpoints along the Camí de Cavalls to avoid any cheating, such as shortcuts. Any runner who does not pass by these checkpoints will incur time penalties which if they are accumulative and repetitive, can lead to disqualification.